Precious metals futures ended mixed on Friday. Gold logged a second straight day of declines and settled at a 20-week low. Silver — while snapping a string of losses that stretched to seven sessions — not only ended lower on the week but also moved into the red for the year. Gold for February delivery on Friday fell $4.70, or 0.4%, to close at $1,248.40 an ounce on the Comex division of the New York Mercantile Exchange. The settlement is the lowest since July 20 when the metal ended at $1,245.50 an ounce. 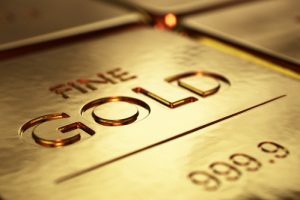 "Gold’s role as a safe haven and a store of value is greatly diminished at this point," Bloomberg News quoted Barnabas Gan, an economist at Oversea-Chinese Banking Corp. in Singapore. "Market-watchers are likely positioning for an FOMC rate hike next week." "Nineteen market professionals took part in the Wall Street survey. Ten, or 53%, called for gold to decline. There were seven votes or 37%, saying gold would rise, with the remaining two votes, or 11%, for a sideways market. Meanwhile, 847 votes were cast in an online Main Street poll. A total of 400 voters, or 47%, looked for gold to rise in the next week. Another 393, or 46%, said lower, while 54, or 6%, were neutral." Silver for March delivery gained 2.1 cents, or 0.1%, to settle at $15.823 an ounce. Silver futures dropped 3.5% this week after sinking 3.6% last week and falling 2.2% the week before then. On Thursday, the precious metal finished at its lowest level since July 13. Silver prices are down 1% on the year to date. January platinum lost $10.80, or 1.2%, to $883.70 an ounce, for a 6.1% weekly decline. Palladium for March delivery slipped $6.55, or 0.7%, to $996.40 an ounce, for a drop of 2% on the week. The pair are mixed for the year so far with platinum off 2.4% and palladium up 45.8%. Gold fell $4.35, or 0.4%, to 1,250.65 an ounce. Silver declined 8.5 cents, or 0.5%, to $15.825 an ounce. Platinum fell $8, or 0.9%, to $892 an ounce. Palladium rose $4, or 0.4%, to $1,009 an ounce. For the week in London bullion prices, losses totaled 2% for gold, 3.6% for silver, 4.5% for platinum and 0.7% for palladium. Gold coins climbed by 2,000 ounces this week after rising by 5,000 ounces last week. Splits included 1,000 ounces in American Gold Eagles compared to 4,000 ounces previously, and 1,000 ounces in American Gold Buffalos to match last week. Silver coins advanced by 120,000 ounces this week after rising by 90,000 ounces last week. For a second week in a row, all sales came from American Silver Eagles.